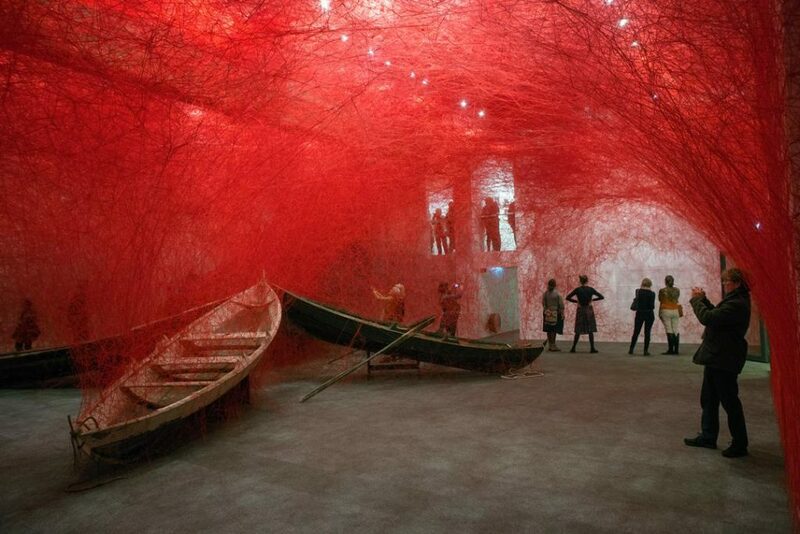 KODE museum, situated in Bergen, Norway, has invited Chiharu Shiota to fill a large exhibition hall with her work. 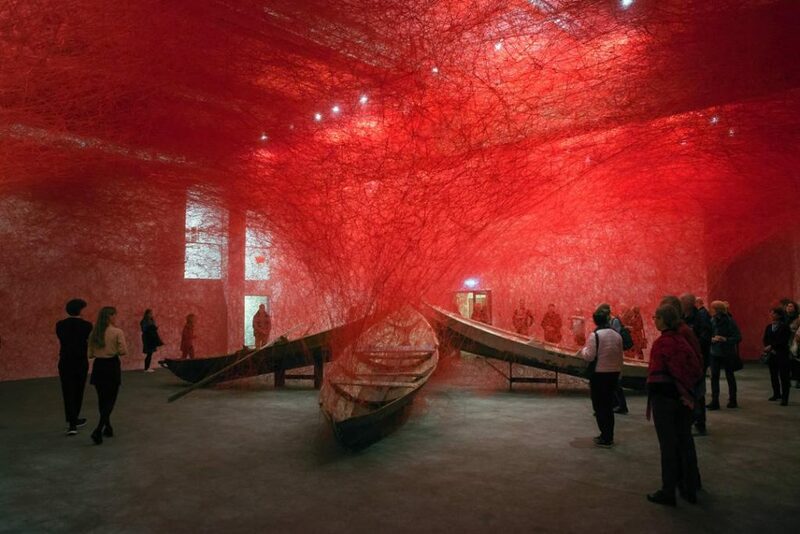 With « Direction », the artist incorporates old boats from Western Norway in her complex thread installation. These boats were once an everyday means of transportation along the coast outside of Bergen, and the title refers to the act of travelling. 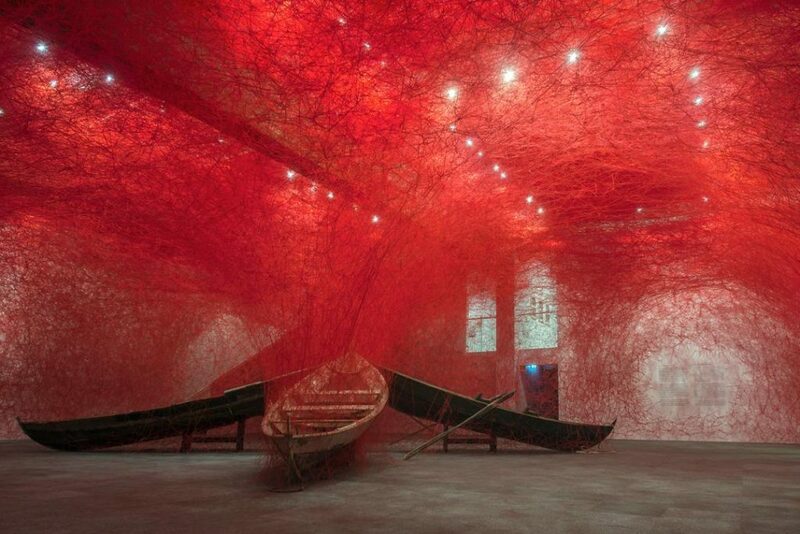 At the same time Shiota touches upon navigating in a broader perspective: “I’ve been concentrating on the distance we cover in our lives, and the journey we take that has an unclear destination. We are heading in a certain direction but don’t know exactly where, » says the artist.